In the first study, 15 people consumed the same amount of BHB as a ketone ester or a ketone salt (~12g and ~24g of BHB) on four separate visits. The ketone ester drinks rapidly increased blood D-BHB levels to 1.4 mM and 2.8 mM, but levels were markedly lower with the equivalent ketone salt drinks at 0.8 mM and 1.1 mM. In order to look for the reasons between these large differences, the blood samples were analyzed for the presence of a type of BHB called L-BHB. D- and L- refers to a property of the ketone molecule called 'optical isomerism.' This means that, although the molecule has the same structure, the bonds are arranged slightly differently so the D- and L- form can't be overlaid. Think of the difference between your left and right hand: they are mirror images. When the body makes BHB to release into the blood, it only makes the D-BHB form. The analysis revealed that at least half of the BHB in the blood after a ketone salt drink was L-BHB. What's more is that the levels of L-BHB stayed high for much longer than the D-BHB levels, which suggest that the body was less able to use it as a fuel. Less of the L-BHB was converted to acetone compared to D-BHB, highlighting again that L-BHB is processed differently to D-BHB. 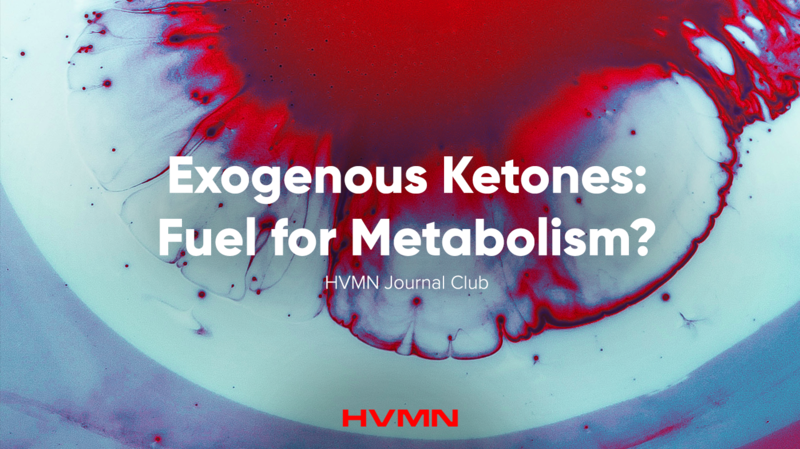 This could have implications for the use of these two ketone supplements as a fuel for athletes, but further work is needed to understand the metabolism of L-BHB in humans. Both ketone drinks caused a decrease in concentrations of blood glucose, free fatty acids, and triglycerides. This is potentially beneficial since the ketogenic diet lowers blood glucose but also raises blood fatty acid levels...which can have negative effects. Ketone esters made the blood a little more acidic and ketone salts made the blood a little more alkaline. All other parameters stayed roughly within a normal range, showing that the body could compensate for any changes triggered by the drinks. Furthermore, blood chemistry returned to normal as BHB levels went down, showing that the effects were reversible. It isn't clear if the ability to compensate would remain if ketone drinks were taken multiple times a day for many days, although 3 daily ketone ester drinks for 5 days has been studied and shown to be safe and the ketone ester has been approved for use as a food by the FDA. As ketosis is natural state of metabolism the constant presence of D-BHB itself doesn't appear likely is unlikely to pose an issue. However, massively exceeding the government recommended salt intake (2.3 g of sodium) through drinking daily ketone salt drinks (each contains g sodium) could have implications for health (i.e blood pressure and cardiovascular risk). The next study focused on the effects of the ketone ester and looked at some factors that could be relevant to its use in a real world setting. The effect of a meal on ketone levels was tested in 16 healthy people at rest. Even with a carb rich meal the ketone ester raised blood levels to 2.1 mM, although levels with the same dose were higher when taken on an empty stomach (3.2 mM). Furthermore, blood glucose and free fatty acids fell after the ketone drink. Insulin release after the ketone drink and meal was normal, meaning that ketones didn't seem to inhibit or increase normal insulin response. This means that ketosis can still be achieved when taking a normal mixed diet. Another aspect studied was how similar ketone levels were when the same person had an identical drink on two days. The results showed that statistically the variation in blood ketone levels was small. The average difference in peak D-BHB between the two visits was only 0.2 - 0.3 mM, but notably the maximal difference seen between visits was 1.9 mM, so this suggests monitoring BHB levels would be useful if targeting a specific level of BHB. Finally, as a feasibility study, blood ketone levels were measured when the ketone ester was given as either three drinks spaced 3 hours apart or a 9 hour constant feed through a tube into the stomach. Both of these methods maintained a state of ketosis for the duration of the experiment. This could be useful for people constantly trying to stay in a state of deep ketosis for medical reasons. The conclusion was that ketone drinks are a practical efficacious way to achieve ketosis. If the definition of 'ketosis' is elevated blood ketone levels then this is certainly true. However, it is unclear at this stage which benefits of triggering natural ketone production (i.e being ketogenic, following the diet or fasting) would be replicated by taking ketone drinks. However, being able to raise ketone levels at the same time as following a normal diet could be beneficial to people seeking to improve their endurance performance as seen in Cox 2016). Ketone drinks may also make it easier for people to stay in ketosis for some clinical uses, such as paediatric epilepsy, where it can be difficult to maintain adherence to the strict diet. This study provides a useful reference for people looking to incorporate ketone drinks into their diet.